As Chief Marketing Officer of Viant, a Time Inc. company, Jon heads brand and product marketing, communications, research and creative services. Managing a team dedicated to fostering new business development and creating strategic partnerships, Jon is a recognized industry thought-leader in automotive, digital marketing,CRM and data-driven targeting and measurement. During his tenure as CMO, Jon led a comprehensive company rebranding and repositioning initiative, launched the Viant Advertising Cloud platform to the market and managed the company’s communications through a successful acquisition by Time Inc. As the lead marketer within a company focused on leveraging big data and analytics to drive media spend, Jon oversees numerous research initiatives designed to provide actionable data to brand marketers using insights from Viant’s people-based platform. 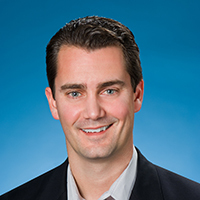 Jon joined Viant in 2008 as Senior Vice President, Global Category Development, and was responsible for growing revenue in the automotive category by over 40 percent in his first year. During a period of rapid growth and multiple acquisitions, he led business development and strategic partnerships across the enterprise on a global basis. Prior to joining Viant, Jon was a catalyst in the digitally-driven transition of U.S. brand marketing and advertising at Ford Motor Company, where he was Head of Digital Marketing and CRM. Jon is a regular speaker and panelist at ad tech industry events and a guest lecturer at the University of Michigan Ross School of Business. Jon has an MBA in Marketing from Indiana University and a BS in Management Information Systems from Central Michigan University.